Umbrella Roofing Systems, Inc. is proud to install “The Worlds Best Roof” in the Western Pennsylvania and the Eastern Ohio areas. 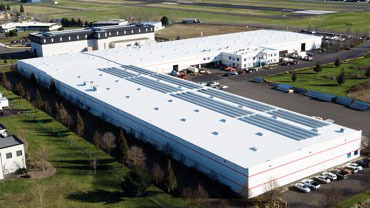 We have a strong dedication to providing quality roofing solutions to all types and sizes of commercial and industrial low sloped and flat roofs. We have earned numerous awards and accolades for our work, including being named a Duro-Last Roofing Elite Master Contractor for Quality Workmanship and Customer Satisfaction. When people need a new roof, they call Umbrella Roofing Systems, Inc. to “Get Under The Umbrella”. We have also performed roofing projects and are available in many other neighboring cities, regions and counties. Benefits of Doing Business With Quality A Roofer Like Umbrella Roofing Systems, Inc. When you do business with our quality roofing company in the Western Pennsylvania Area, you will benefit from our experience gained from working with many types of commercial and industrial businesses from our region. Since 1992, we have been well known in our region as a trustworthy provider of flat and low slop roofing services. Repeat customers are eager to recommend us as the best roofing professionals in the area. If you are looking for a professional roofing contractor in your area, get in touch with us today. “Get under the Umbrella”. Call us at (724) 758-ROOF (7663) or (877) 837-4137. You can also use our convenient online contact form for more information and to schedule an appointment.